Home Our Attic Services Rodent Proofing Can I Use Home Remedies To Repel Rodents? Most of the homemade natural repellents are based on the notion that rodents have heightened sense of smell so encountering unpleasant scents will make them search for a new habitat. Unfortunately, that is not the case. Rodent proofing your home isn't as simple as some online tips may suggest, and most of these DIY remedies tend to be false advertisements. Do Naphthalene In Mothballs Deters Mice? Although mothballs are smelly and unpleasant, the level of naphthalene is not enough to harm or deter rodents and was never proven scientifically to work. Mice and rats will learn quickly to avoid and ignore them. In fact, they can cause more harm to household pets or small children who can innocently touch or lick them. Plus, they smell terrible. What About Peppermint Oil And Ammonia? Ammonia smells like urine so the rationale behind using it is that the rodents will suspect another animal is around and will look for a different place to nest. 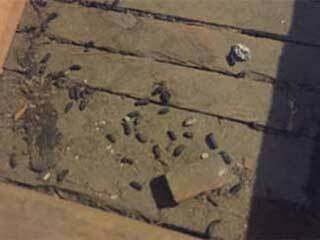 However, rats often live in or near sewers and the foul smell does not deter them in any way. In addition, ammonia is a dangerous substance and should never be accessible to small kids or pets. The use of peppermint oil is also not very effective. In addition to the reasons already mentioned, the scent of the oil dissipates very quickly and by the time the mice come around the smell will most likely be gone. Will My Pets Frighten Rodents? Cats and dogs love to chase anything that they perceive as prey, so the smell and the sight of a rodent will excite them. However, because they are so evasive and can hide under or behind appliances or furniture, your pet could become irritable and distressed because they can smell the rodent but can't get to it. A cat can catch a few mice, and a dog might catch a rat occasionally, but using your pet to eliminate an infestation will be impossible. Your pet may help to keep some mice at bay, but it will not make your home rodent proof, and your attic will still be susceptible to these critters. Home remedies might get rid of one mouse or rat here and there, but they are not an effective solution to eliminating an existing infestation or preventing one from taking place. Only professionally rodent proofing your house, identifying and sealing all entry points and taking correct measures to making your kitchen clean and safe, will solve the problem. Our experts at Attic Cleaning Thousand Oaks can help you with that. If you already have rodents in your house, we can get rid of them using humane and non-lethal traps, and make sure your crawl space and attic insulation is cleaned afterwards.